Imprint Method: Laser - Acknowledge and congratulate those who have committed themselves to superior performance. 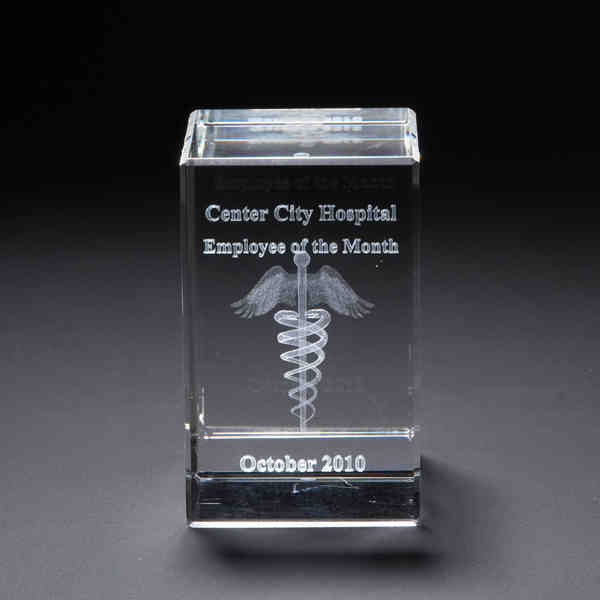 Crafted out of optical 3D crystal, this medium block award features a free-standing design with beveled edges. Measures 2 x 3 1/8 x 2 with a 1 5/8 x 2 3/4 imprint area. This block award may be purchased without imprint or customized with our sub-surface laser engraving technology to create a unique token of gratitude that employees will appreciate. Size: 3.13 " x 2 " x 2 "